See You at the 2015 Weight of the State Conference! 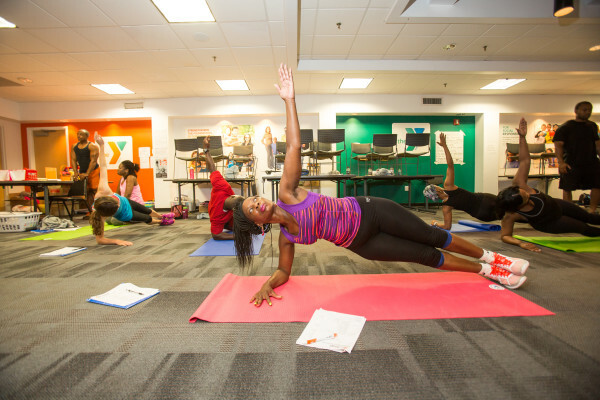 After retooling and expanding the Active RVA Warriors program this year, we’ve seen the impact that well-trained, passionate fitness leaders can make in our communities. It’s been so impactful that we’ve been invited to present at the 2015 Virginia Weight of the State Conference to share how more communities around Virginia can target the stubbornly ballooning rate of chronic disease in the Commonwealth and begin to turn the tide the other way. The Weight of the State is an annual showcase of cutting edge programs and strategies for addressing obesity. We’d be at this conference if we weren’t presenting because it’s a key conversation! What approaches are different cities and regions taking and what’s working? We decided to apply to present at this year’s conference because the 2014 Active RVA Warriors class has proven how deep community organizing, ongoing training, and dedicated programming can reach people and make changes not attainable through other avenues. How does the Active RVA Warriors Program Reduce Chronic Disease? Well, the best answer to this question is - you should join us at the Weight of the State in April to hear about it! But… we’ll give you our teaser answer for now! Mountains of public health research demonstrates that increasing community access to safe, affordable spaces for physical activity promotes active living and reduces obesity, one of the biggest and fastest growing health conditions nationally. 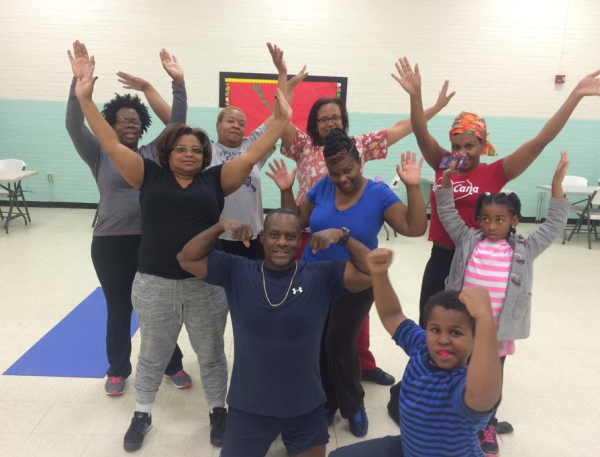 The Active RVA Warriors program removes barriers to physical activity in Richmond-area communities that historically have the highest rates of chronic disease like obesity, heart disease, and diabetes. We use a “Train-the-Trainer”model, selecting and coaching high-quality fitness-minded residents to lead free group-based exercise classes. This piece of the program is key! We’re not just helping the Warrior class. 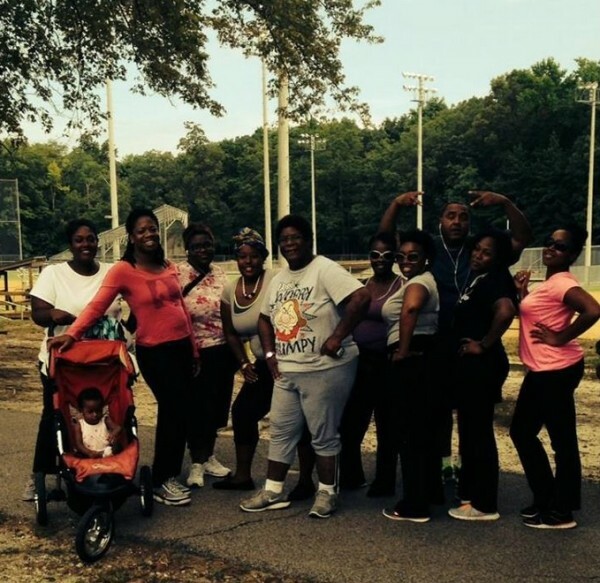 We’re training them to be capable, confident, and emboldened leaders across the region, “Warriors for health and fitness,” we say. As part of their training our Warriors offer classes in collaboration with various community partners including schools, churches, senior residences and recreation centers. They’re in the neighborhoods and working with the institutions that need the biggest turnaround with physical activity and fitness. Another key element to the program is that we build in economic sustainability by supporting Warriors to turn their new skills as Fitness Instructors into a profession – parttime or fulltime. With the generous support of the Anthem Foundation, we support the Warrior class to get professional group exercise certification. Many Warriors will go on to lead classes and lead communities expecting NO payment in return. They’re passionate about the work and love to see the impact they make. But not every leader in these communities can afford to do this work at full capacity without some compensation. By supporting them to get certification (usually a pricey endeavor! ), we’re supporting these excellent leaders to recommit, redouble their efforts, and grow their impact as they graduate from the program. Join us at the Weight of the State conference in April here in Richmond! And follow the Warriors on Facebook. We’ll be recruiting a new class in 2015, training more Warriors for health and fitness in the Richmond region.